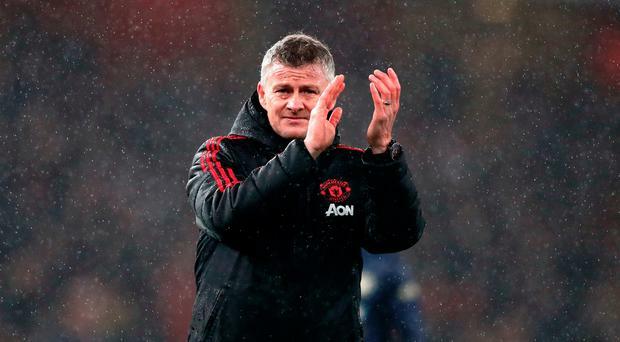 Paul Scholes has been invited in for a chat by Manchester United interim boss Ole Gunnar Solskjaer after quitting Oldham by text message just 31 days into the job. The 44-year-old signed an 18-month deal last month to take his first step in management with his boyhood club. But things quickly went awry at Boundary Park and Scholes quit the Sky Bet League Two side on Thursday after one win in seven matches. The former England international left claiming it had become "clear that (he) would not be able to operate as intended and was led to believe prior to taking on the role". Those sentiments were shared with former team-mate Solskjaer, who has opened the door to the Aon Training Complex to Scholes. Asked if he was surprised to see Scholes leave, Solskjaer - whose side face Wolves in the FA Cup tonight - responded with a laugh: "Were you? Well, he's probably got his reasons why he left. You've got to ask him (if he will go into management again). "He's invited here if he wants to come and have a little chat about it. I've texted with him of course and it didn't work out as he wanted, that's management." Scholes spent some time coaching at United after retiring for the first time in 2011, then worked during Ryan Giggs' short interim period at the helm three years later. Another return to the Old Trafford backroom staff looks a way off after surprising Oldham with his decision. Latics owner Abdallah Lemsagam was shocked to receive Scholes' resignation via text message and said he would have liked to have the chance to "find solutions" to any grievances. "I am disappointed by Paul's decision to resign and surprised by the reasons he has given in his statement," Lemsagam said in a statement. Both myself and the staff at the club gave Paul all the support and autonomy that he asked for. I personally was always supportive of any decisions Paul made or consulted me on, reassuring him that he was the man in charge. "I continued to encourage him despite the results and reassured him that his job was secure." Meanwhile, Wolves boss Nuno Espirito Santo believes the FA Cup clash against United is the club's biggest game for many years. Wanderers, who clinched promotion back to the Premier League last season, face United at Molineux this evening for a place in the semi-finals at Wembley. They have not been in the last four since 1998. Santo insists he is aware of Wolves' FA Cup pedigree - which includes lifting the trophy four times, with the last triumph back in 1960. "It is the biggest game for the club for some time, we are aware of that," he said. "We can feel in the city what's going on, everybody is expecting a big game, some of them say it's one of the most important games in years. "Of course, we want to make it happen again. But there is a lot of hard work ahead to repeat what happened in the past." • Highly-rated midfielder James Garner has signed a new contract keeping him at Manchester United until 2022. FA Cup quarter-final fixtures: Today: Watford v Crystal Palace (12.15pm), Swansea City v Manchester City (5.20pm), Wolves v Man United (7.55pm). Tomorrow: Millwall v Brighton (2pm). By Robert Jones Brighton boss Chris Hughton insisted that being paired with Manchester City in the FA Cup semi-finals didn't dampen the euphoria of yesterday's dramatic victory over Millwall.